Drumming, with its unique sound and amazing beat, is one of the many instruments that make music amazing. However, playing the drums requires immense physical strength and dedication, and that’s all before you’ve really gotten good. Drumming machines were created to sound and act like drums without the same skill level and dedication required. 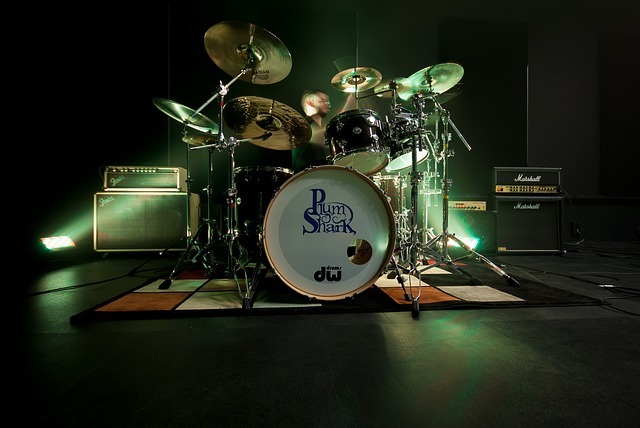 So from that perspective, they are the answer to your drum-less music the perfect way to bring your one-man band up a significant notch. Best Rated Drum Machines Reviewed. But What is the Right Drumming Machine for You? A drumming machine is a complex piece of technology, one that plays a vital role in your music making moments. It is vital that you find the one that best world for you and your sound. However, with millions of machines out there, it may be hard to find the one that works best and best for you. That is why we have put together a list of our top ten recommended drum machines. This drum machine features a small an compact size for easy music production and finger playing. Moreover, this machine features multiple knobs and buttons in order to ensure that the uniqueness and freedom of your music. This machine connects to computer software through a USB cord and is able to function without the use of an AC adapter. 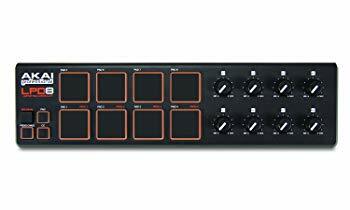 And finally, this drum machine features multiple free software, allowing you to edit and specialize your music in any multitude of ways. 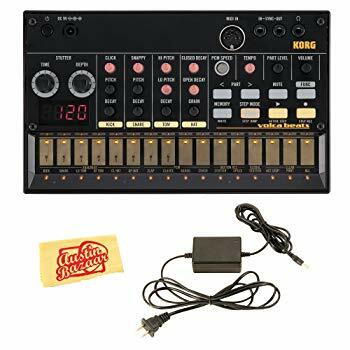 This Teenage Engineering TE010AS012 PO-12 Rhythm Drum Machine & Sequencer is a stripped down, but at the same time, fully loaded drum machine. This drum machine features 16 unique and different drum sounds and tones. Moreover, this drum machine offers 16 different effects and patterns, allowing you the freedom to create the unique music you like. And finally, this drum machine features an integrated folding stand and speaker, in order to make it possible for stand-alone use. 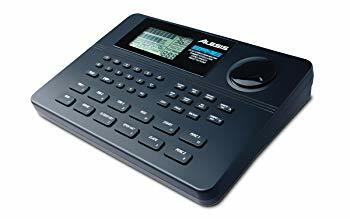 This Alesis SR16 | Classic 24-bit Stereo Electronic Drum Machine 12 separate pads that can have any of the machines 223 sounds applied to them. Moreover, this unique drum machine holds a feature which allows for the change of tone as it is played harder, allowing for a uniquely realistic drumming experience. In addition, this machine features 50 pre-programmed songs that were crated by some of the best drummers, in order to help you get started right out of the box. And finally, this machine allows you to record, create and save all your own work for later use. 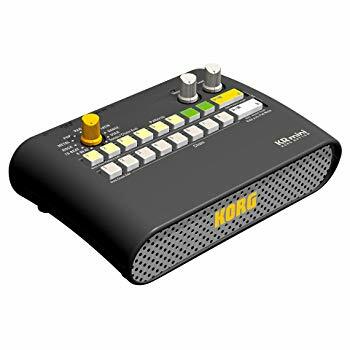 This Korg KR mini Rhythm Machine features an easy to use design, to play the machine, simply select a rhythm and press the play button. Furthermore, the chain function of this machine allows you to create your own patterns and songs by connecting different sounds. Additionally, this machine features foot features, allowing you to play hands-free. And finally, the built-in speaker that the machine features makes playing easy at any time. 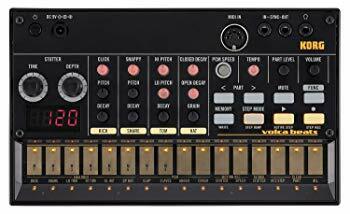 This Korg Volca Beats Analog Rhythm Machine allows you to instantly edit your work after recording it, for easy use. Moreover, this machine offers a minimal set of parameters, for the easiest and quickest way to get the sound that you want. Additionally, this machine is compact, and battery powered, allowing for easy traveling and transportation. And finally, this machine comes with a built in speaker, to make for easy jamming in any place. 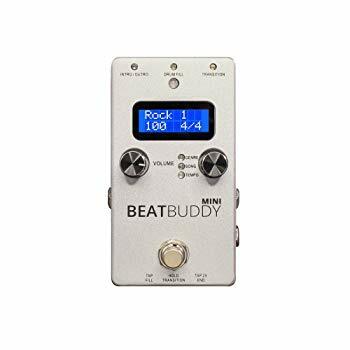 This Singular Sound BeatBuddy Mini: Personal Drummer features a hands-free control on drumming and beat. Furthermore, this drumming machine features over a hundred different sons from 21 different genres, every one controllable. In addition, this machine features a visual metronome on the screen, making it easy to control the sound, tone and beat of the drummer. And finally, this machine features a realistic and high-quality drumming sound. 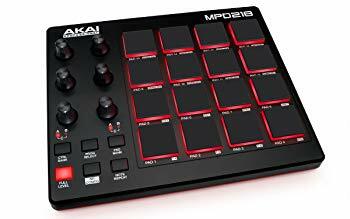 This Akai Professional LPD8 | Ultra-Portable USB Drum Pad MIDI Controller easily connects to your laptop through a USB and allows you to work with countless software, digital work stations and sequencers. Additionally, this machine comes with 8 different knobs to allow for easy controlling of any parameter of the sounds. 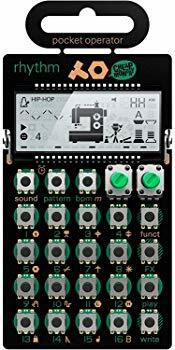 In addition, this drum machine features 4 programmable memory banks so that you can save all your work. And finally, this machine comes with an included editing software for easy editing and uniqueness. This Boss DR-880 Dr. Rhythm Drum Machine features an EZ compose feature for a simple and fast music programming. Furthermore, this machine offers 440 different drum sounds, providing you with uniqueness as well as variety. In addition, this machine offers 500 pre-recorded patterns, allowing you a way to use this product straight out of the box. And finally, this machine can offer hassle free outputs, through a simple USB transfer. This Korg Volca Beats Analogue Drum Machine Bundle features an abundance of sounds created with the sounds of classic rhythm machines in mind. The stutter function that this machine features, constantly changes the pattern and sounds for everchanging unique sounds and inspiration. This machine offers editing abilities and makes it easy with a controllable knob. And finally, the built in speaker and battery powered machine makes travel and on the go performances easy. 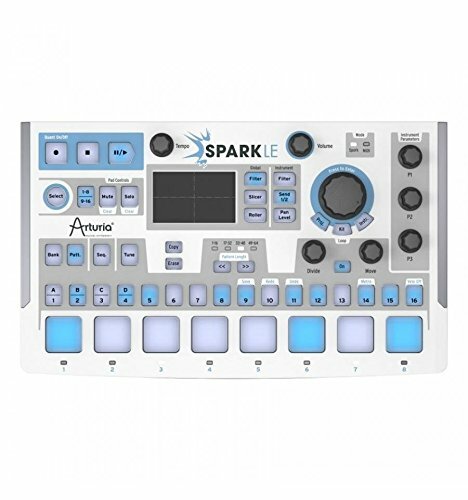 This Arturia SparkLE 420101 Hardware Controller and Software Drum Machine features a full feature Spark Software, allowing for analog, modeling, playback and so much more. This machine allows for real-time programming and MIDI mode for use with any software of your choice. Furthermore, this machine features a touch sensitive XY pad, to make your music making the experience as seamless as possible. And finally, this machine features the high-quality workflow of a traditional drum machine, while including so much more. Drumming machines are every rocker’s answer to their drumming needs. These handy machines are perfect for those who don’t play the drums or are just looking for some recorded beats and effects. However, being as each drum machine is different, it’s important to keep certain things in mind before purchasing anything. Size – Although the giant drumming machines are a thing of the less technologically advanced past, there is still a variety of sizes that drum machines come in. The size of your drum machine should depend largely on your intended use, smaller machines tend to be better for in-house use where there may be less space. 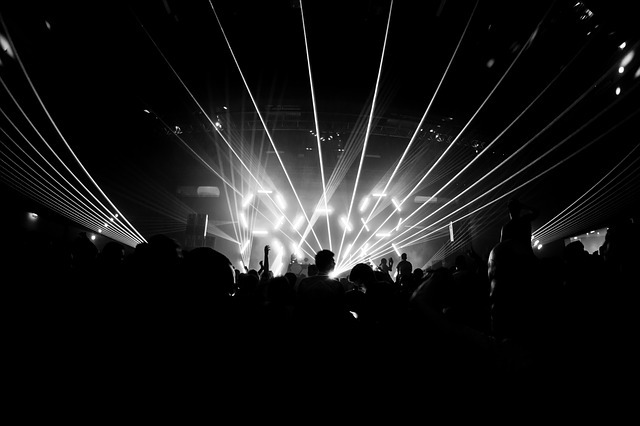 However, bigger machines are better for live performances, as the small machines tend to be harder to control. Recordings – Not all drum machines allow you to upload or record your own sounds and samples, this is important to know if you’re a musician looking to work with your own music. While not all musicians need the ability to upload their work and are fine using the pre-recorded samples given, those who do make their own patterns may benefit from investing in a more complex machine. Memory – How much memory you need for your drum machine, similar to the size, largely depends on what you plan to use the machine for. If you plan on using the machine for live performances, then a lot of memory may be a necessary feature. However, if you only plan to use the machine for studio recording, and have access to other, online software, then the memory is not as important. Analog or Digital – While not every musician feels, or hears, a difference between these two features, there is definitely a large amount that claims that analog produces a warmer tone. Therefore, it is important or you to recognize this function and choose your feature according to the type of music you will be playing. Different drumming machines serve different purposes, therefore, before going out to look for a drumming machine it is vital that you know what you want to use it for. However, there are certain universal things that also need to be found. Controls – All drumming machines should have some type of way to control the sound that comes out of it. Most commonly, drumming machines will feature pressure sensitive pads that each has an assigned sound. Therefore, it is important that you find these controls – or more commonly, pads – comfortable and easy to use. Anything too confusing or difficult too use, becomes useless. Drumming machines are supposed to make your life easier, not more difficult. Effects – Most modern day drumming machines feature an abundance of different effects that you can apply to the sounds and beats. And while trying out new effects can be a fun way to experiment with your music, it is important that the basic effects be something you know you like to work with. These effects are the way for you to apply a personal touch to your music, so make sure that they truly sound you love. Editing – Not all drumming machines have built-in editing or programming features, however, if you have decided to invest in one that does it’s important that it be a good program. Editing is both another way for you to make your music unique, as well as a way for you to cut out any mistakes you may have made. Good editing can be the difference between good and bad music. Therefore, if you have chosen to invest in a drumming machine with an editing program, make sure it’s one that is worth your money. Portability – Most drum machines require AC adapters and plugins, making it hard to travel with them and spontaneously set up shop. However, every now and again, you can find a high quality, battery powered drumming machine with built-in speakers. These machines are perfect for those who are looking for an easily transportable and portable drum machine. 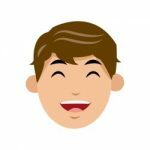 Use – Are you a music producer? Live performer? Aspiring musician? What you use your drum machine for makes a difference. Live performers may need more sounds and memory, in order to allow them the freedom and creativity they need on stage. While music producers commonly prefer simpler machines that provide their music with a consistent sound and foundation. Buying a drumming machine comes down to a lot of things, but one of them, at the end of the day, is simply your opinion. Finding what sounds and feels good to you is probably one of the most important considerations when shopping for a drum machine. Sound – Make sure to listen to the sounds of the drum machine before making any final purchases. The quality and style can vary from machine to machine. And being as this machine is going to be a huge part in your music making process, it is important you know what sounds you’re getting. 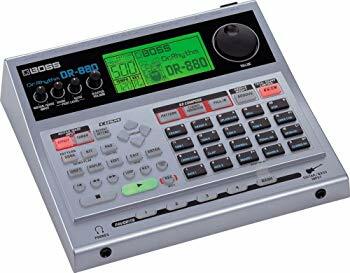 Budget – Drum machines come in a large range of prices, and while more expensive doesn’t always mean better quality, it does often mean more effects and sounds. Knowing what you want your drum machine for and what price range you hope to stay in can help you narrow down your searches significantly. Pre- Recorded? – Most drum machines these days come with pre-recorded sounds, but not all. These sounds are a great advantage in getting started and helping you create better patterns and music. However, there’s no fear if the drumming machine you love doesn’t come with pre-recorded noises, as plenty of internet sites and subscriptions will offer you those noises you need. Drumming machines are truly an amazing invention; one that allows one man bands to shine, and blooming musicians to create unique music right from their very own home. 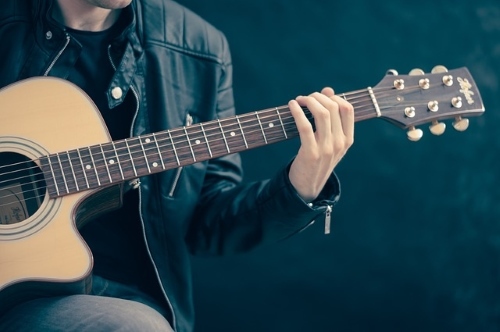 However, with so many different options and music styles out there, it may be hard to find the one that works best for your genre and style of music. It is for this reason that it is important for every musician to recognize their needs and wants. Drumming machines give you the freedom to create the music you want, but not before you’re sure you know which music you really want to make.